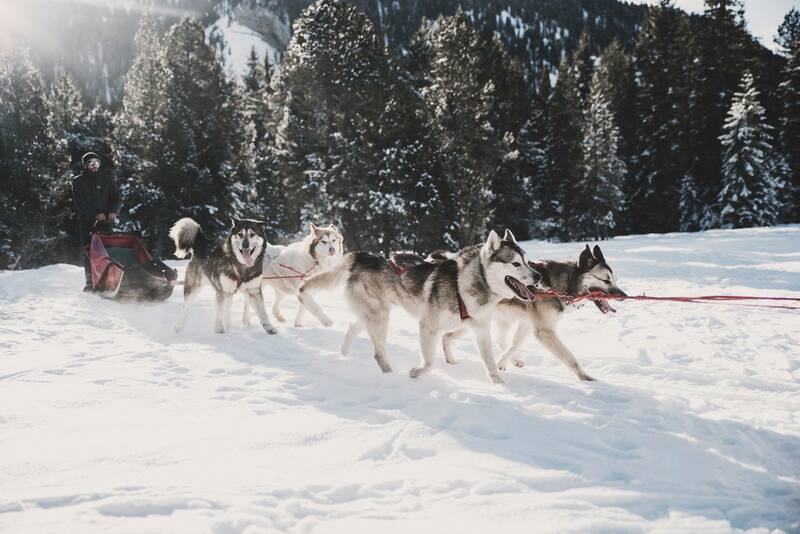 Navigate the snow-covered valleys through the forests on-board a sled pulled by dogs for a unique and magical experience! Whether in large icy spaces or on mountain roads, a ride on a dog sled always promises a magical and memorable experience. Let the sound of the sleigh sliding on the snow, the lightweight padding of dogs running, and their heavy breathing be music to your ears as you explore the mountainous landscapes. 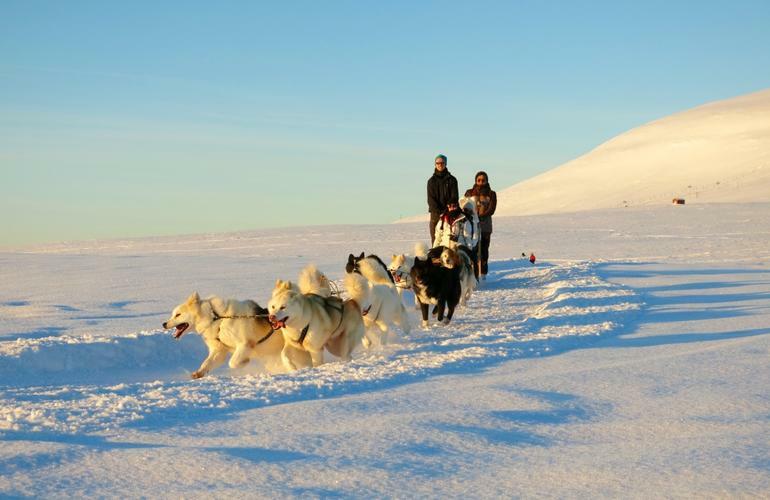 Dog sledding is an ideal excursion for families, as during the hike you can just sit back and relax while admiring the spectacular views and let yourself be carried away by the adorable and powerful dogs. This activity is overflowing with adrenaline and intensity, but it’s also worth questioning as such trek is not to be taken on without reflection. Here are your questions we asked to D’Oumiak Aventure, because nothings better than a passionate professional to give us all the answers. How long has dog sledding existed? The practice of hitching dogs is a means of transport as old as the world because its origin dates back to 6000 BC, but since the first millennium it has developed and gained popularity around the world, primarily in cold countries. The sled is always run by a professional musher (driver), who knows the area like the back of his/her hand and takes great care of animals. All in all, allowing you to get the most out of your dog sled ride in perfectly safe conditions. What clothes should be worn for this activity? Warm clothes are a necessity. Thermal woollen underlayers, winter jackets or warm snow suits, waterproof hiking boots with overshoes, gloves and a hat. How old do you need to be to ride on the sled? If it’s your first ever ride with sled dogs, the minimum age is 2 years, accompanied by parents of course. In some centres children over the age of 8 are permitted to drive the sled with the guide. What is the maximum weight or number of people? The dogs maximum loads is usually 200 kg per sled, so two to three people maximum, however, some sleds are bigger and towed by more dogs, so they can accommodate more people. Do you need to know how to ski? Not necessarily, because you aren’t going to be doing any skiing on the trip. What’s the maximum speed you can reach? Sled dogs travel at an average of 25 to 30 km/h on journeys of around 40 km. Over longer distances, the average speed drops to 16 to 22 km/h, but even in bad conditions the sled dogs can still maintain an impressive average of 10 km/h. How long is a hike? Everything depends on the package you decide to choose. The excursions vary according to the routes distance, so it can last anywhere between 20 minutes and 5 hours. What type of dogs are used? The sled is usually drawn by Alaskan Huskies or Siberian Huskies. Endurance is their main attribute because these dogs can travel long distances, from 8 to 130 km or more, in a single day. How many dogs per sled? Depending on the weather conditions, the team is composed of 6 to 20 dogs and each has a specific place and function within the pack, of course, leaders take pride of place at the front. Which destinations can you see an Aurora Borealis? This spectacular natural phenomenon is visible in six Nordic countries: Finland, Norway, Sweden, Iceland, Northern Canada and Scotland. With appropriate timing you’ll be able to combine the pleasures of admiring this natural wonder with a thrilling dog sled ride. What should you bring for the ride? This is what we recommend you stash in your backpack if you want to be ready for anything: sunglasses, a very warm blanket, a swimsuit for the sauna, handwarmers and foot warmers, a thermal flask, a snack, a bottle of water and high protection sun cream. In addition, we recommend you bring a change of clothes to change into after the trip. Can you go sledding at night? Yes, there are nocturnal hikes, mainly aimed at those hoping to catch the Aurora Borealis. For this type of trip, you are required to bring a long-range head torch. Can you still ride on a dog sled without snow? Yes, just replace the blades of the sled by wheels and this gives you the Cani-Kart. There is even a derivative of this called Cani-Scooter! Will you get a chance to drive the sled? Yes, before you set off the instructor will explain how to manage the sled, how to stop and how to give the right commands to the dogs. What weather conditions could prevent departure? Apart from heavy rain or a storm, there are very few situations where the departure would be cancelled. In the case of a heavy snowfall, the hike will be even more dramatic and magical. On the other hand, if it’s too warm and there’s no snow at all, then it’ll be necessary to opt for Cani-Kart, but this is quite rare. Do you get to feed the dogs? In most cases, no. It’s dangerous, because if you give them something they aren’t used to it, can upset their stomachs and ruin the ride. The musher may give you a little something to give to the dogs, but apart from this there will be no other food allowed. Are you allowed to take photos with the dogs? Yes of course, and you can even go see the dogs before the hike and take a selfie with them to get better acquainted! So, don’t forget to take your smartphone or a camera with you. 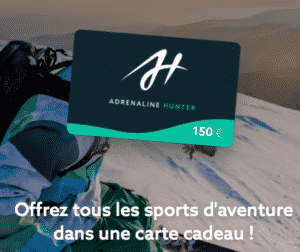 How much does a dog sled trip cost? Once again, everything depends on the destination and the duration of the trip. Prices start from €25 for a 20-minute ride to over €2000 for a 6-day expedition to Tromsø. Can the dogs get hurt? The dogs can get hurt if they get into little scraps, and the pads on their paws can get injured on ice, but the guides are very experienced and know how to deal with these kinds of rarely occurring problems. With regard to a possible passenger accident, you’re already insured for this activity and once you’re sitting in the sled, there’s very little that could happen to you. 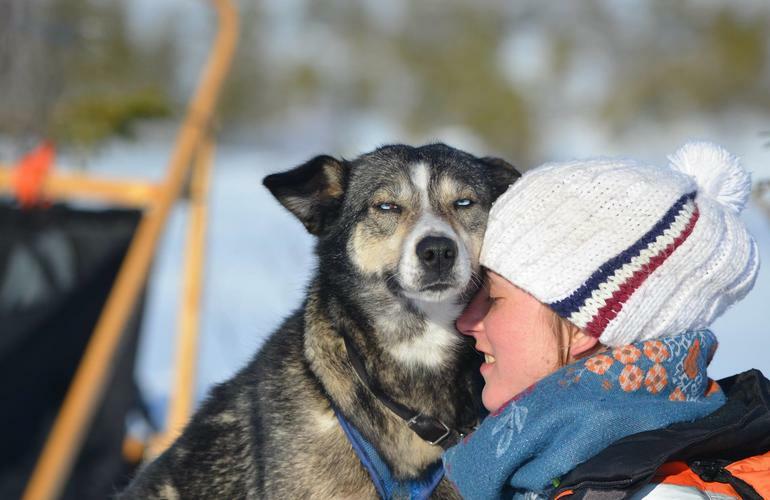 Is there anyone you wouldn’t encourage to go dog sledding? If you suffer from a bad back pain or are pregnant, it’s probably better to avoid going on the dog sled. Oh, and of course if you don’t like beautiful landscapes and exhilarating hikes, then we wouldn’t recommend this activity either! If you have any further questions, please don’t hesitate to get in touch.